Awoken from a troubling nightmare, Amber discovers her brother Flint missing and the city in a panic. As the crisis in the city unfolds, Amber reluctantly recruits the retired detective Ted E. Bear to aid in her search despite their turbulent past. Setting aside their mutual distaste for one another, the duo embarks on a hunt for her lost brother. Hot on the trail of the Red Man, an elusive figure who may be tied to Flint’s disappearance, Ted and Amber reunite with old acquaintances and scour the undergrounds of Paper City in search of clues. As they inch closer to the truth, a more sinister plot will begin to unfold. Separated and at wits ends, Amber desperately hunts for Flint as Ted struggles to cope with his painful past. Ted’s introspection will lead him to resume the search by tracing Amber’s footsteps in the finale of the trilogy. 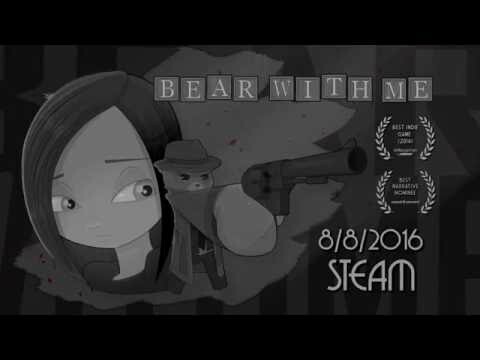 Set before the events of Bear With Me, follow Flint and Ted E. Bear as they investigate a series of strange occurrences involving the inhabitants of Paper City. Murder, abduction, and danger awaits our duo as they seek to uncover the secret of The Lost Robots. 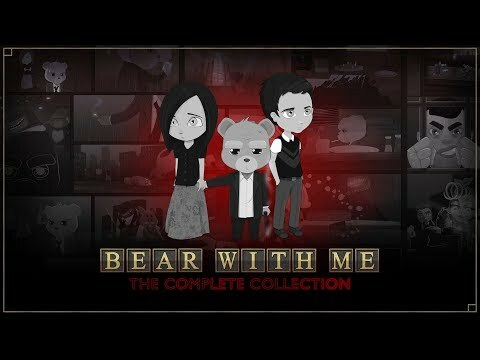 Bear With Me: The Complete Collection includes all three previously released chapters of Bear With Me as well as the all new investigative prequel chapter The Lost Robots. For the first time ever, discover everything the series has to offer in one convenient package. Exordium Games. All rights reserved. Published by Modus Games™. Modus Games™ and the Modus™ logo are trademarks of Modus Games, LLC. All rights reserved. All other trademarks or registered trademarks belong to their respective owners. Sign up to receive news and updates about Bear With Me!